Early 2020 could bring a devastating blow to Alaska’s adventure travel companies. A proposal to build a massive open-pit gold and copper mine is slated for development in one of the world’s most productive marine and terrestrial ecosystems in the world – Bristol Bay. Tourism in Alaska is the second-largest private sector employer, accounting for one in eight Alaskan jobs, nearly 2 million visitors a year, and $2.42 billion in direct visitor spending including labor income. And much of it is happening in Bristol Bay and the adjacent areas along lower Cook Inlet. 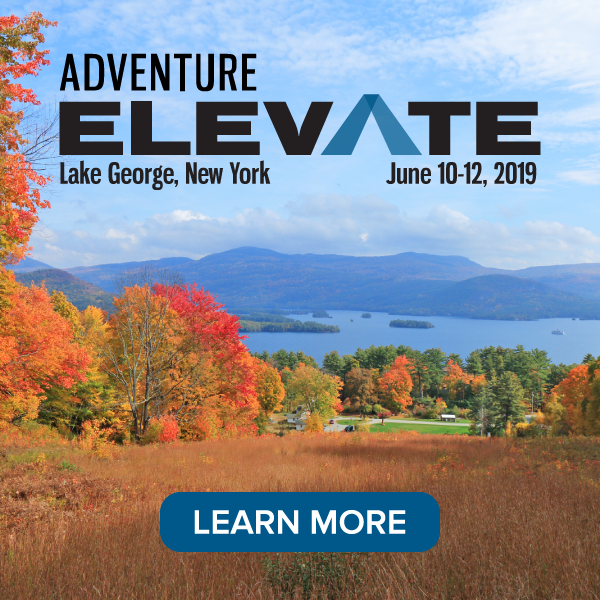 The region was a centerpiece of many 2016 ATTA Summit adventures. As part of its commitment to support wildlife and environmental initiatives, World Wildlife Fund has created a to-do list for members in the adventure travel industry who are concerned about the environment surrounding the Pebble Beach mine in Alaska. The Bristol Bay region is brimming with sea otters, beluga whales, humpback whales, caribou, brown bears, and moose: it’s a wildlife paradise for travelers. And, an economic boom for Southwest Alaska. $173 million dollars are generated annually from Bristol Bay tourism and recreation. 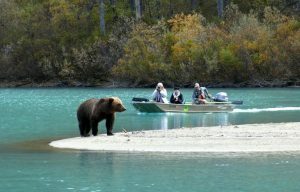 In Lake Clark National Park alone – a popular spot for brown bear viewing – almost 23,000 visitors spent an estimated $34.9 million in the region, in 2017. Other recreational activities support an additional 850 jobs and add $60 million to the region’s economy. Nanci Morris Lyon is the owner Bear Trail Lodge. 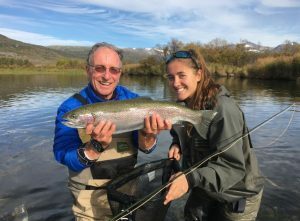 Located along the Naknek River, the lodge attracts people from all over the world, who come to fly fish and “rod and reel” fish with Nanci and her guides. She says Pebble Mine would be disastrous. “If Pebble Mine were to be permitted and allowed to proceed, not only would it be devastating to the beauty and natural wonders that Bristol Bay holds, it would be a game changer for my business,” says Lyon. “No longer would I be able to offer visitors fresh air, remote experiences, and pristine wildlife. I would be forced to change my entire business model and the role I play in sharing Bristol Bay’s wonders with others.” A landscape that provides unparalleled opportunities for travelers is a major job generator for the state and a haven for countless wildlife could face serious jeopardy if plans for Pebble Mine go forward. While the mine itself, more than a mile long and a mile wide, would wreak havoc on important wildlife habitats and livelihoods, primarily the wild salmon fishing industry (more than 46% of the world’s sockeye salmon are produced here), the infrastructure needed to develop and operate Pebble Mine doubles the threat. Getting supplies in, and copper and gold out, would require building an 85-mile transportation corridor smack in the middle of Alaska’s premier brown bear viewing areas and critical brown bear migratory routes. 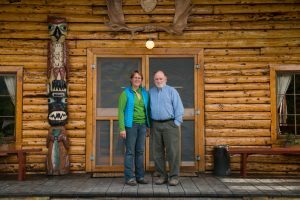 A portrait of Tim Troll and Nanci Morris Lyon, the organizers of the guide academy, in front of Kulik Lodge. Bristol Bay, Alaska, United States. And then there’s the year-round potential mining jobs, which pale in comparison to tourism jobs in Alaska. The number of mining jobs is around 9,000 with an economic benefit of around $957 million. Tourism, both direct and indirect visitor spending accounts for more than 47,000 jobs yearly. A battle against the proposed Pebble Mine raged for nearly two decades. 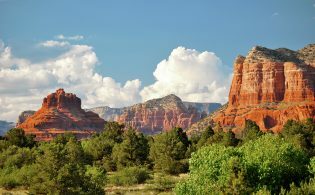 Prospects looked positive for protecting this region in 2014 when, after an exhaustive study, the EPA deemed the project too risky. But now the EPA has reversed course. In January of 2018 the US Army Corps of Engineering accepted Pebble’s permit application and launched a fast-tracked permitting process for the massive project. In February of this year, the Corps released a Draft Environmental Impact Statement (DEIS) and announced a public comment period that will extend to the end of May. This DEIS comment period will provide the last formal opportunity for the traveling public, businesses, and organizations to add their voices to this fight. 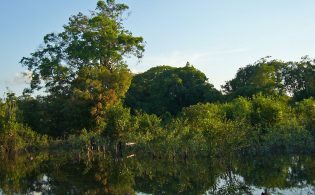 The Corps of Engineers intends to complete the final Environmental Impact Statement (EIS) and issue a Record of Decision by early 2020. Here’s how you can help Alaska’s adventure travel companies and our hosts of ATTA’s 2016 World Summit. Oppose the recently released highly flawed and incomplete Draft Environmental Impact Statement (DEIS) that includes the “preferred alternative” for the 24-year development of the mine by signing this letter by May 31, 2019. Join the Businesses for Bristol Bay coalition and work with industry leaders to protect the region’s salmon, tourism sector, and vibrant economy. Contact Congress, including Alaska Senator Lisa Murkowski. Businesses can send a letter to their members of Congress sharing their connection to Bristol Bay and Alaska’s tourism industry, and their concerns about the proposed Pebble Mine. Promote Bristol Bay. ATTA members with active social media networks and retail spaces can help celebrate and promote Bristol Bay through marketing and promotions. Maybe you should read the DEIS. It says there would be no impact and Naknek River is probably over 100 miles away. with no direct impact. yes Lake Clark National Park is closer but the mine is not in the park by any means. Um Absurdo sem precedentes ! Donald Trump está transformando uma nação coerente e defensora dos seus habitats naturais em proveito próprio de conseguir mais uma fortuna indicando falsos especialistas ambientais, verdadeiros executivos tecnocratas destruidores da natureza e a vida selvagem, em seu benefício, da sua família e dos seus apoiadores / congressistas do seu atual govêrno. Realmente…Ele com isso impõe a sua mão pesada de destruíção numa fonte de riqueza natural do nosso planeta. Em outras palavras, ele merece o título mundial do MAIOR DESTRUIDOR dos RECURSOS NATURAIS do PLANETA TERRA !!! Confirmo ser de minha autoria o texto divulgado acima ! Sou Ambientalista desde meus primeiros anos de vida e, defendo a BIODIVERSIDADE do nosso Planeta com muito AMOR e SAPIÊNCIA !